I love rear-wheel-drive cars. There’s nothing like the feel of a car whose front wheels’ sole responsibility is directing the car, and whose rear wheels’ mission in life is to push the car forward. It feels natural, balanced, efficient, perfect—and this in everyday driving; it doesn’t take a track junkie to pick up on the appeal. That said, there are a few cars that could possibly tempt me away from my RWD fixation. It does take a lot to overcome my FWD prejudices; the car in question has to have a whole host of attributes stacked in its favor, whether lightness, or character, or chassis tuning, or just uniqueness and/or cool factor. It usually ends up being a combination. 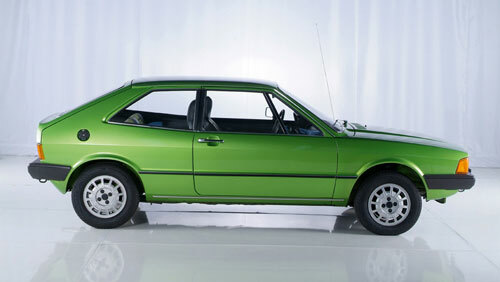 Today, we look at the first in a series of cars that make FWD seem downright attractive: The ’75-’88 Volkswagen Scirocco. Introduced in the mid-’70s by VW as a sportier complement to their Beetle-replacing Golf, the Scirocco took its more plebeian brother’s underpinnings, firmed them up, and wrapped them in a rakish Giugiaro-penned body. As with the Mini, its basic light weight and low-ish center of gravity (especially when lowered) masked a lot of inherent FWD disadvantages, and its styling gave it a lean and agile look absent the boxier Golf. I love the way the first-generation (’75-’81) Scirocco looks. The wedge shape doesn’t convey pretenses of straight-line speed, but makes the car look downright hungry for a twisty road. 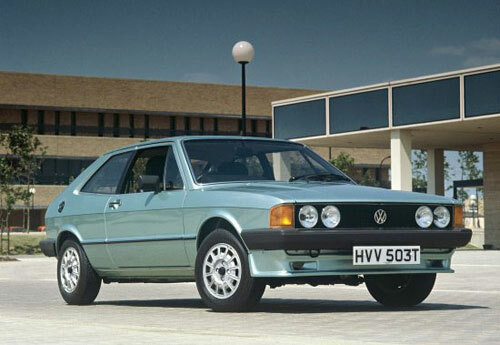 In spite of its uprated specifications, it wasn’t nearly as popular as the Golf, which gave it a certain exclusivity, at least on this side of the pond. So the rare/cool factor is present as well. 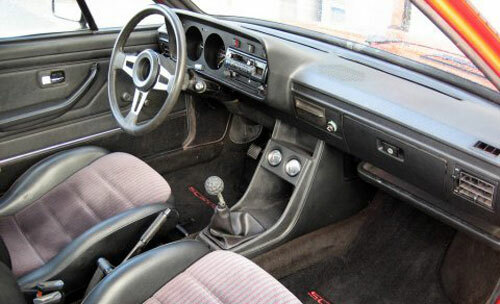 The interior is German-functional and businesslike. There’s nothing exceptional about it, but there doesn’t need to be—it’s an environment designed to focus you on the task of driving. No fluff; just a sense of ergonomic precision and purpose. The “Mark 2” Scirocco (shown above) arrived in ’82, and while the styling alterations (especially the rear side window treatment) took a step back from the truncated wedge shape that made the previous generation’s look so appealing, dynamic improvements, including a new 16-valve engine, gave the car chops in the acceleration department to match its handling prowess. I’m not as big a fan of the Mark 2 as I am its predecessor, but I’d still take one in a pinch—the “’80s look” appeals, and the essential goodness and rarity of the car are still there. Either way, the Scirocco is an excellent ambassador for the FWD platform. As much of a diehard RWD-er as I am, I wouldn’t object to having one to fling about on a daily basis.